Not coming from a tech or IT background but having a son who is interested in these areas has caused me to spend much time researching options for teaching children computer programming skills. Tech experts (including those who are parents seeking to give their children an education in programming), have different views on which computer programming language children learn in which sequence and at what age. Below are some sites to teach languages commonly recommended for children to learn programming. 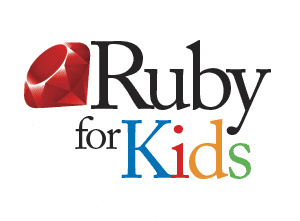 Learn Ruby- The very kid-friendly Kid's Ruby site is a fun, non-threatening way to learn the modern programming language Ruby. 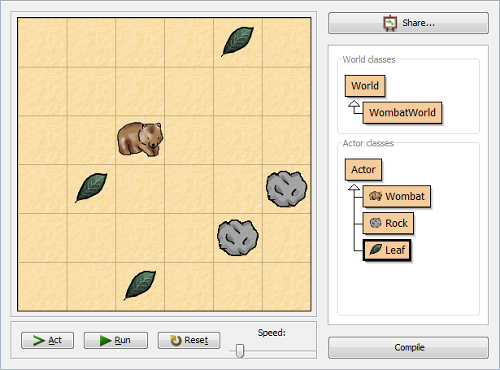 "Educational software designed to make learning programming easy and fun." This free download will run on any computer (we are Mac users so this is important). Learn Visual Basic- Microsoft's free e-book Visual Basics for Very Bright Kids (get the pun? It took me a while too.) uses a cartoon type environment to make learning fun. With fun cartoons and easy to follow code samples, you'll be creating your own inventions in no time! 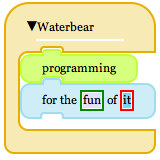 Learn HTML-WaterBear is a site dedicated to help children and others learn programming in fun environment or "playground".